What worth is a good idea if you don't share it? Dedicated to spreading light. It's contagious! Two things I envy people who live in Paris for - baked goods and pharmacies. Nuxe is France's premiere pharmacy brand and just like croissants can be found on every corner. 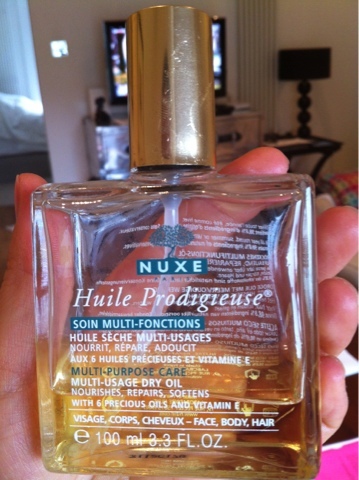 I've been having an on and off affair with the Nuxe multipurpose oil for almost 12 years. It's my favourite for many reasons. It has a super-activated formula that combines 30% of precious plant oils and vitamin E to nourish, repair and soften face, body and hair in a single gesture. It has an unique cocktail of 6 precious plant oils (borage, St Johnswort, sweet almond, camellia, hazelnut, macadamia) with a sweet fragrance for velvety skin and silky hair. I love using this in the summer when I show a lot of skin - I put some on my legs, shoulders, arms and decolletage for a subtle glow and to keep my skin smooth and moisturised. It's absolutely lovely and doesn't leave an oily residue loke most body oils. 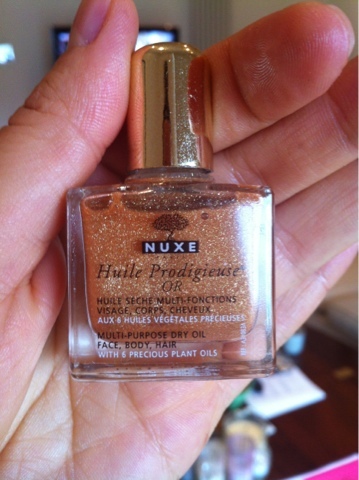 Nuxe has an "Or" ("gold") version of the Huile Prodigieuse that is more bronzy and shimmery and will look good on tanned skin but I always use the regular one since I like it so much and I find its subtle glow to be enough for me. You can buy Nuxe products from most large Boots and pharmacies in the UK. Smashbox Studio Skin 15 hour wear. Best foundation so far. Are you ready for a Dirty Burger?